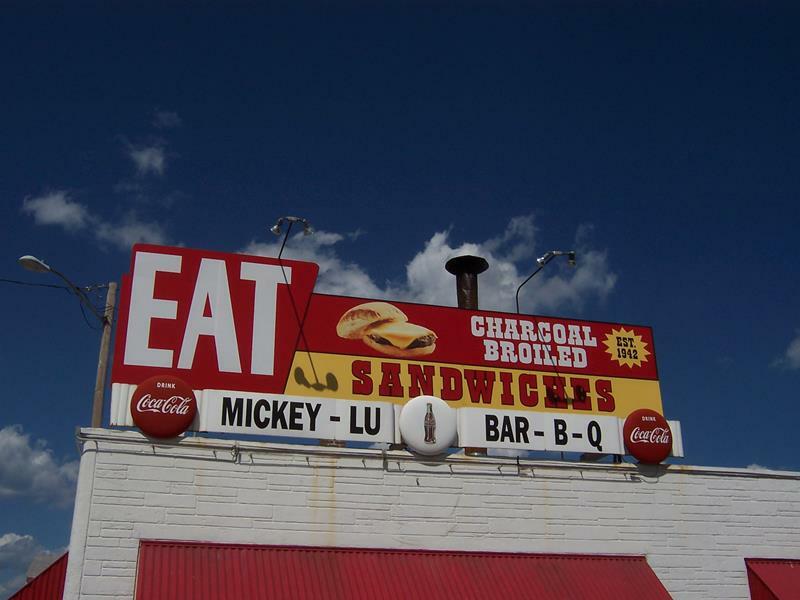 Classic “burger and a shake” deliciousness awaits at Mickey-Lu Bar-B-Q. Delighting Marinette residents and visitors alike since 1942, the “Bar-B-Q” in the name refers to the charcoal grilling technique they use for cooking burgers and grilling brats – you won’t find pulled pork or brisket here. But that’s okay, because these are some of the tastiest burgers you’ll ever find in an all-American joint that looks like a trip back in time on the inside. 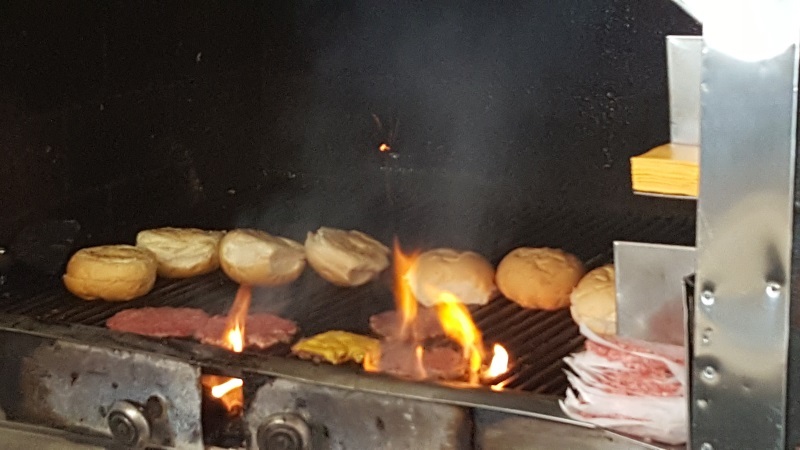 We hope you like your buns grilled, too. 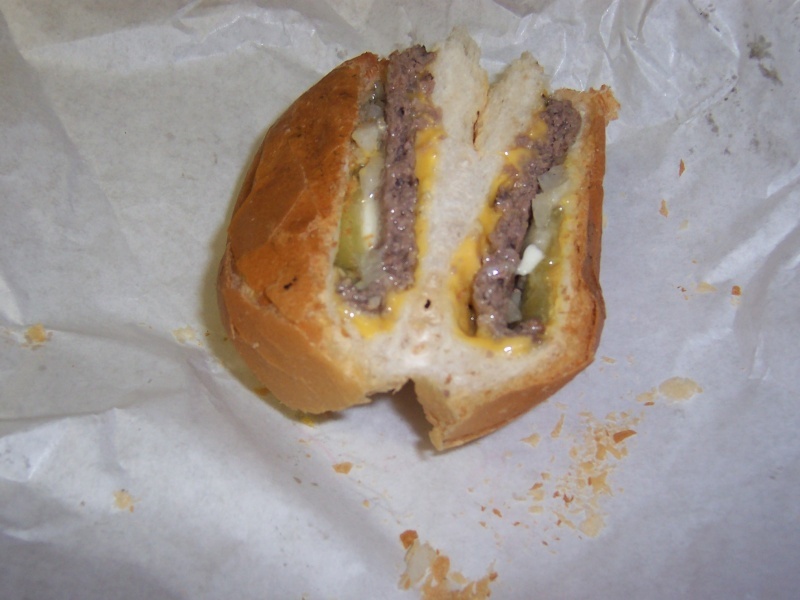 A Mickey-Lu burger, cross-sectioned so you can see the goodness. The burgers are fairly small, larger than White Castles but smaller than, say, a Whopper. But they pack serious flavor, stemming from the high-quality beef, onions, pickle, and a little pat of butter – plus the cheese if you want it. Of course you have a choice of many other toppings but the basics work so well with a Mickey-Lu burger. The Zemal hard rolls are fresh bakery buns that also see some time on the grill, adding a slight crunch to the bun and holding the burger into a tight, tasty package. It’s as close to burger perfection as you’ll find. 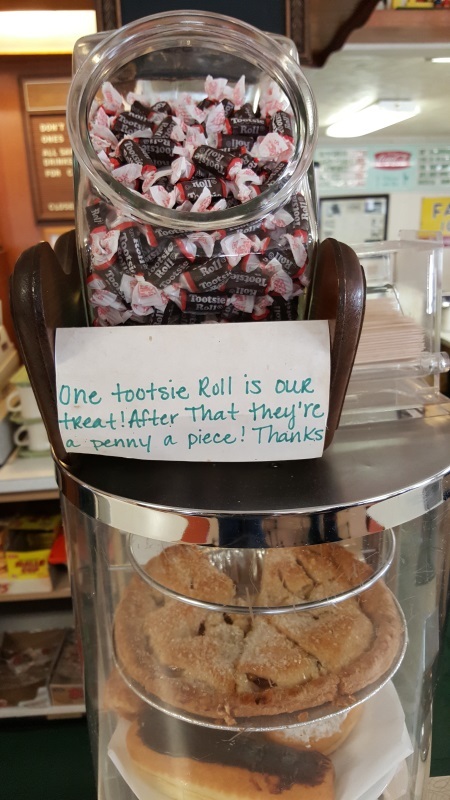 They also start at less than two bucks each. The charm of Mickey-Lu includes not only its small size and vibrant history, but all the little authentic touches: jukeboxes on the countertop and tables (plus an original floor model that plays 45s), classic bottles, cans, and packages on shelves, even a dispenser that lets any customer have a free Tootsie Roll – but be warned: if you want another one, it’ll cost you a penny, Mr. Moneybags. 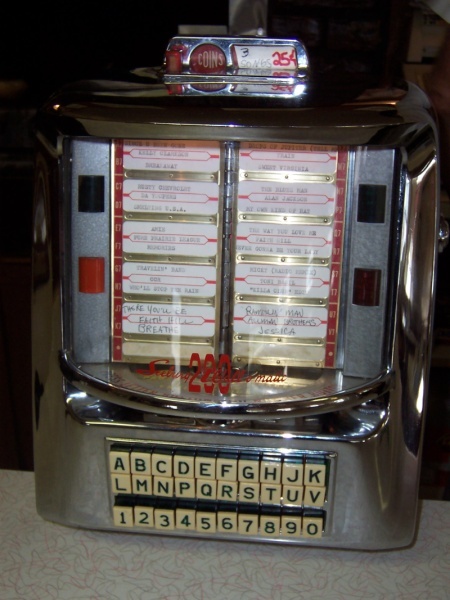 The tunes crank out of these little jukeboxes at Mickey-Lu. They don’t take credit cards and they’re not hooked up to Internet. Deal with it. Mickey-Lu is right along U.S. 41 on the south side of Marinette, near the eastern start of Highway 64; Highway 180 begins nearby on the west side of town and follows the Menomonee River. Michigan is less than two miles away, and this place draws the Yoopers. Heck, it draws Chicagoans who view this four-hour drive as worth it.